Is A Mark Warner Holiday The Most Relaxing Family Holiday Ever? I wouldn’t actually know – having not been on every other family holiday that exists – but I’d place money on it. As a parent of a three-year-old with boundless energy and a love of role play games (“You be Georgina and I’ll be Teacher”) the holy grail for me is a holiday where you can balance off fun family time with proper relaxation. There doesn’t seem much point in going on holiday if it’s going to be hard work, right? And while there are an array of hotels and holiday companies which offer kids’ clubs and childcare, I’m willing to bet that not many do it as well as Mark Warner do. 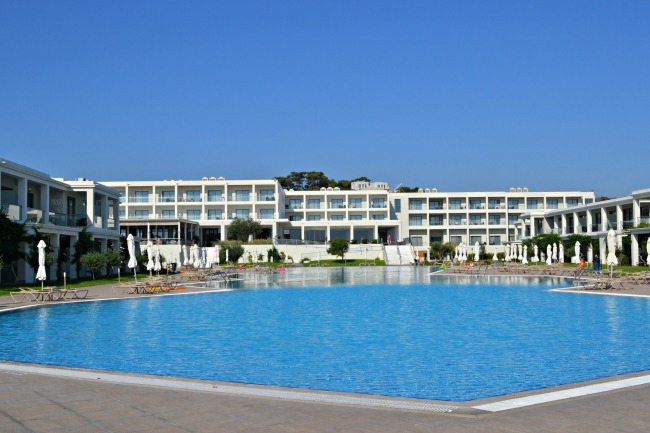 I’ve just returned from a (blissful) four night break at Mark Warner’s Levante Beach resort in Rhodes. See a bit of what happened here. Admittedly, I didn’t take the three-year-old with me so I didn’t get to roadtest the childcare or experience the holiday from a truly family point of view, but I had my beady eye on everything, from the kids’ tea to the shallow children’s pool, and I was massively impressed. 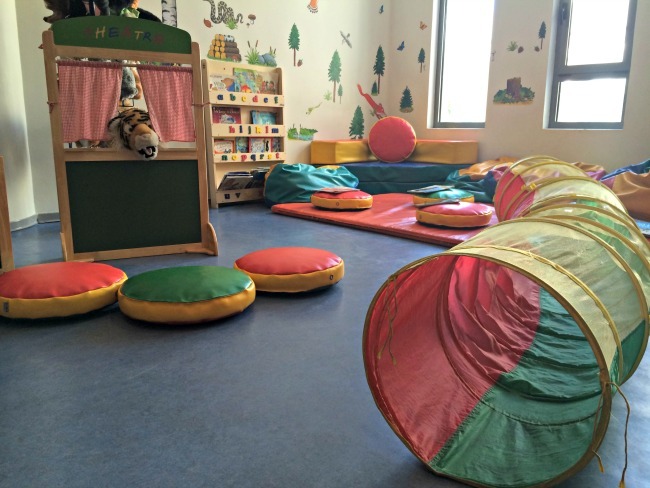 The childcare staff at Mark Warner resorts all have to be fully NVQ or CACHE qualified and English speaking, but more than that, everyone who we met was super friendly and warm. You get the impression they never tire of working with kids. 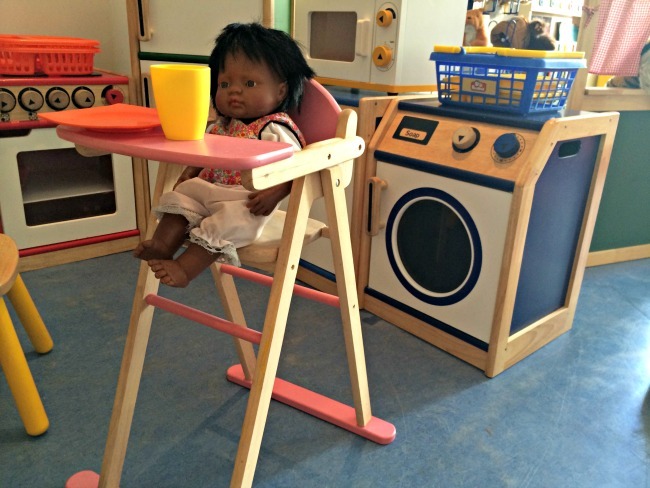 The childcare facilities are all bright, airy and filled with clean new toys and equipment. The kids are in age-appropriate rooms but they’re also taken out and about, down to the beach or onto the water to learn watersports (even the toddlers) meaning they’re not confined to their (super amazing) crèche rooms. Mark Warner also do an early kids’ tea and then (what is in my opinion the piece de resistence) the evening crèche. Drop your sproglets off at 7.30pm and they’ll watch a kids’ movie while wrapped up in snuggle sacs, before dropping off to sleep. Meanwhile, you can head to the restaurant for dinner (and cocktails obvs) before picking them up and carrying them to bed. All of this means you can truly relax and do the things on holiday that you miss doing, when you have kids. Things like just sitting gazing out to sea, or getting stuck into a good book, or wrestling with a lilo in the pool before lying serenely on it while catching some rays. You can have a couples dinner and actually stay up late in the bar, rather than feeling confined to your hotel room because the kids are asleep in bed. And the best best thing about Mark Warner is that the kids’ club is so mind-blowingly fun, you won’t feel guilty leaving the kids there. We wandered around the childcare rooms and I saw so many toys that I knew my three-year-old would LOVE to play with – a beautiful wooden toy kitchen, dolls’ bunk beds, a puppet theatre, giant Lego bricks, toy cars, and best of all, Frozen songs playing so she could have a warble as she played. Another plus point of Levante Beach is how big and sprawling it is – even though the hotel was busy when we stayed, we never once felt overrun by families and kids. It might just be me, but when I put my daughter in a kids’ club and spend time relaxing by the pool, the last thing I want is other kids around. It sounds heartless, but it would just make me think of my daughter and then feel guilty for putting her in the kids’ club. In a stroke of genius, Levante has an over 18s pool, which is perfect for any parents who want a quiet chill out (like Katrina, pictured below) without other little tykes splashing around and having fun nearby. The hotel rooms are ideal, with a sliding door which partitions off the area where the kids will sleep, meaning if you do still want to have a drink and relax together once they’re tucked up in bed, you have your large bedroom area (with TV, mini bar and own patio/balcony doors) to do it in. The cocktail photo is such a good one! Katy Hill recently posted…KAYAFEST 2014!. Why don’t you check it out? Fab post – this just about sums up everything that sets the Mark Warner experience apart. You’re right, the evening childcare is a genius move. The resort dining facilities are so good that it felt as though D and I were having a special night out every evening, even though the children were sat only metres away, happily watching Peppa Pig or Frozen. Gorgeous photos too, they really bring it all back! Thanks for linking to my post. Nell@PigeonPairandMe.com recently posted…How to survive your child’s first week at school. Why don’t you check it out? I love that they have different films in the evening for the different age groups too – The Gruffalo right up to older films for the teens! Having the best of both worlds and not feeling guilty for it is a tricky one but it sounds like they have it down to a T! I have a 1 year old and a 4 year old. Do they cater for the youngest as well in terms of cots etc? I’ll find out and email you the answer! Emma recently posted…Thorpe Park for little ones. Why don’t you check it out? The daytime care sounds great but I suspect the evening care works better with older kids. I can’t see my 20 month old sleeping in that environment. Way too stimulating plus no mum when tired and going to sleep. She’d howl and so I’d be stuck in a hotel room. Ski Esprit do a baby listening service with three members of staff per corridor so you put your child down and go down for supper. I had a baby monitor plus the reassurance of staff to ensure no one entered our room. They let you know if there’s noise, if you don’t have a monitor. A better solution for younger kids. They have a similar snuggle \ TV solution for older kids. I’ve not found a summer equivalent to this sort of care. mamasVIB recently posted…V. I. BABYMAMAS: Grab some Cilla-inspired 1960’s style from Marks & Spencer….NOW!. Why don’t you check it out? Richmond Mummy recently posted…Sunbeam. Why don’t you check it out? At some point during the trip I had a wobble about how much family time we would spend together, as the facilities are so fantastic, that everyone would want to do their own thing. But then I saw that the MW holidays help getting quality family time, when no one is stressed wanting to have a break from the kids, but just truly happy to share activities and special moments. I’ve been talking to OH about booking for next year. 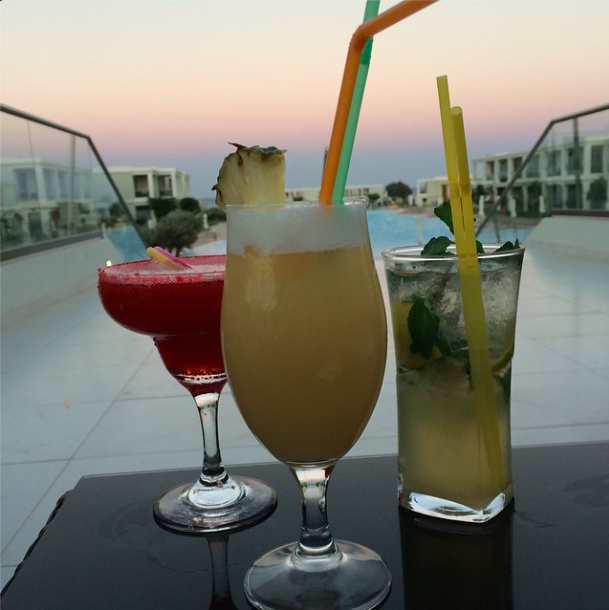 Monika recently posted…The Levante Beach Resort, Rhodes a Mark Warner holiday. Why don’t you check it out? Can I ask you – were you given your 4 day break by Mark Warner or did you pay for it? No worries at all! As explained in the post, Mark Warner took 12 of us out there for the four nights. It was such a brilliant trip!